A hands-on cooking class culminating in dinner served with wine and beer. We invite you into the kitchen for this unique and empowering series of classes, taught by one of the most talented and passionate teachers we know, Samin Nosrat. You're welcome to take as many or few as you like, but the series is designed as an immersion and elements of each class will interplay with the others to help give students a comprehensive understanding of cooking. In each class, Samin will describe and demonstrate for each element its roles and functions, basic science, and effects on taste in a dish. We'll taste and discuss thoughtfully in an effort to give our palates a bit of contextual understanding. And of course, because we believe so strongly in the power of experience (and muscle memory) you'll get a chance to put your new skills to use as we all cook a lovely meal together with the concepts of the day in mind. Most professional cooks agree that knowing how to use and taste for salt properly is the single-most important skill a cook can have. Using a combination of basic kitchen science (complete with diagrams! ), personal narrative, and demonstrative cooking experiments, I'll help you understand the whys and hows of using salt in the kitchen so that you can be a more skilled and sensitive decision maker in your own cooking and more consistently produce delicious, balanced dishes. Together, we'll cook a variety of dishes for dinner using different cooking techniques to demonstrate the principles of salt. 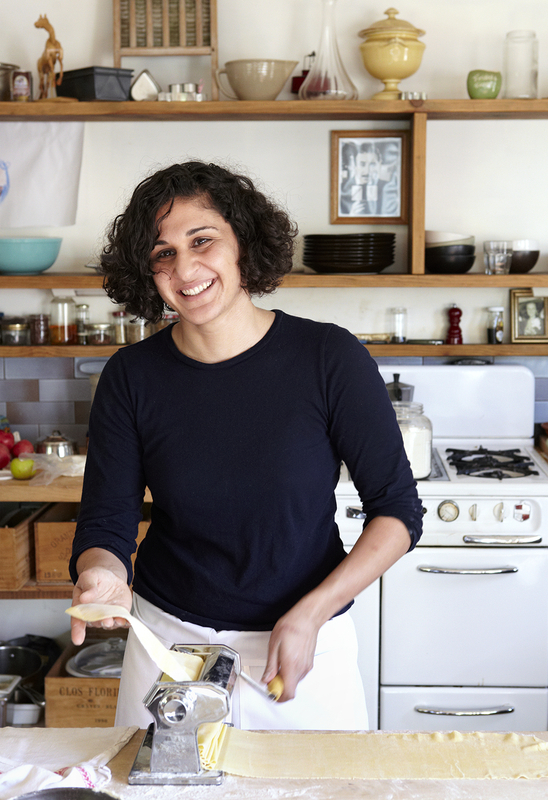 Samin Nosrat creates community around food as a cook, writer and teacher in the Bay Area. From Chez Panisse to Tuscany, Piemonte to the northern coast of Iran, she has spent the past fifteen years immersed in a life of cooking and learning beside groundbreaking chefs, home cooks, farmers, writers and artists. Drawing on this broad spectrum of experience, she brings to her classes a sense of humor and joy as well as a deep desire to empower and encourage her students to find their own comfortable place in the kitchen. Her first book, Salt, Fat, Acid, Heat: The Four Elements of Good Cooking, will be published by Simon & Schuster in 2016. Copyright © 2014 18 Reasons | All Rights Reserved. 18 Reasons is a nonprofit organization and a proud member of the Bi-Rite Family. Tax ID: 45-3059509.